Thirty statues will be on display across the Greater Cincinnati area, including four in Northern Kentucky. 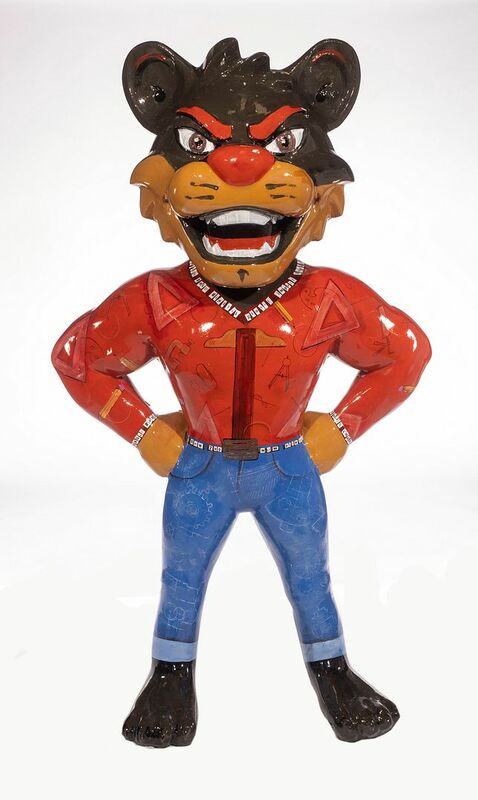 Some of the large Bearcat statues were created by Northern Kentucky artists. 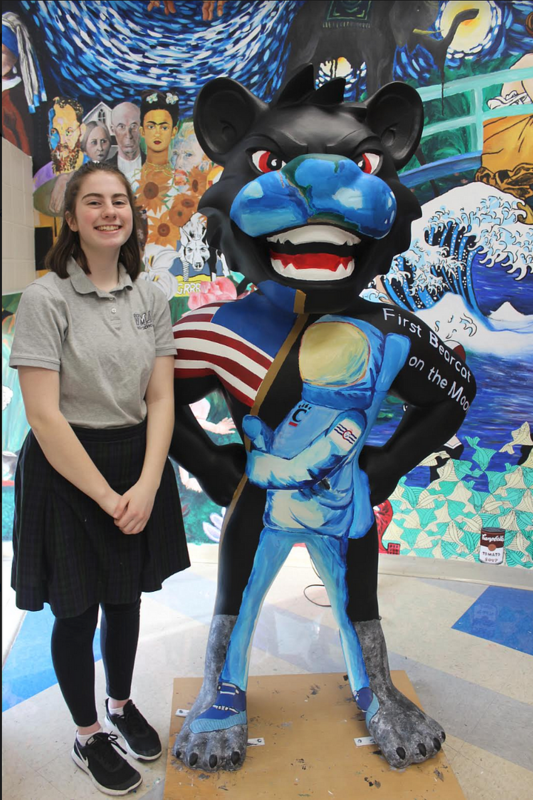 The "First Bearcat on the Moon" was crated by Villa Madonna Academy sophomore Trinity Tankersley and will be on display at the Florence Mall. It is a replica of astronaut Neil Armstrong as a Bearcat. 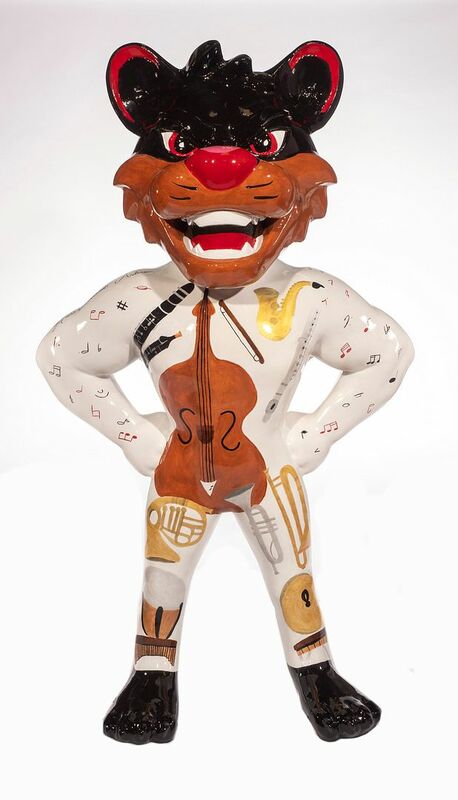 The "Music Teacher Bearcat" will also be displayed at the Florence Mall and was created by Grant County High School student Hollie McGovney. "Architect of Next" was created by father/daughter duo David Klocke, a retire engineer from Procter & Gamble and graduate of Thomore More University, and Angela Klocke, of Fort Thomas. It will be displayed at Ravenswood Apartments in Hyde Park. 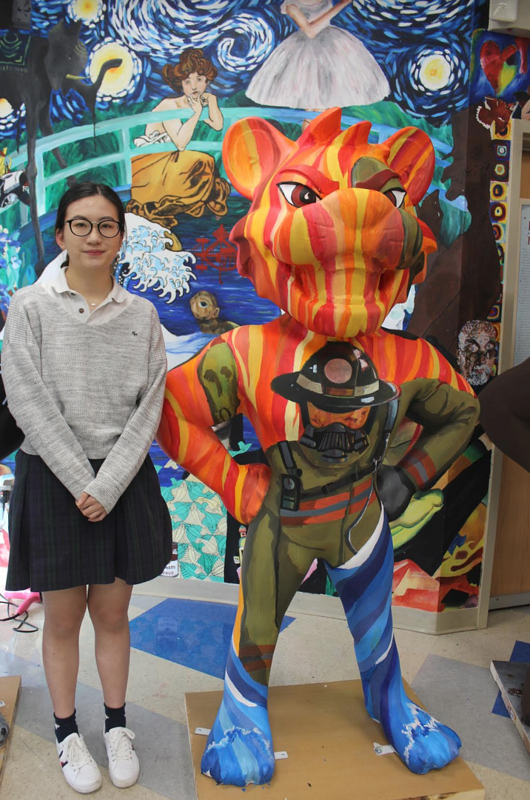 "Flame", a firefighter bearcat, was created by Villa Madonna senior Vivian Zhuang and will be displayed in Mount Adams. Zhuang was recently accepted to the Maryland Institute of Art. 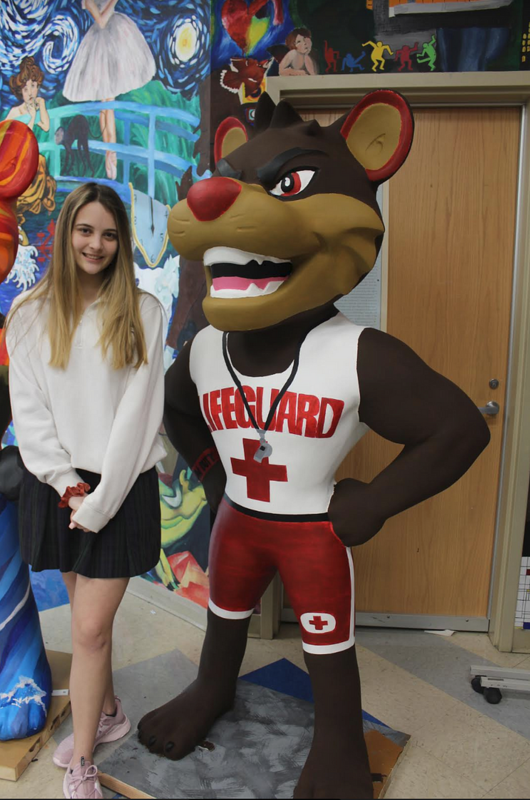 "Guard Hard" will be on display at the Purple People Bridge in Newport and was created by Villa Madonna sophomore Hannah Willmott. 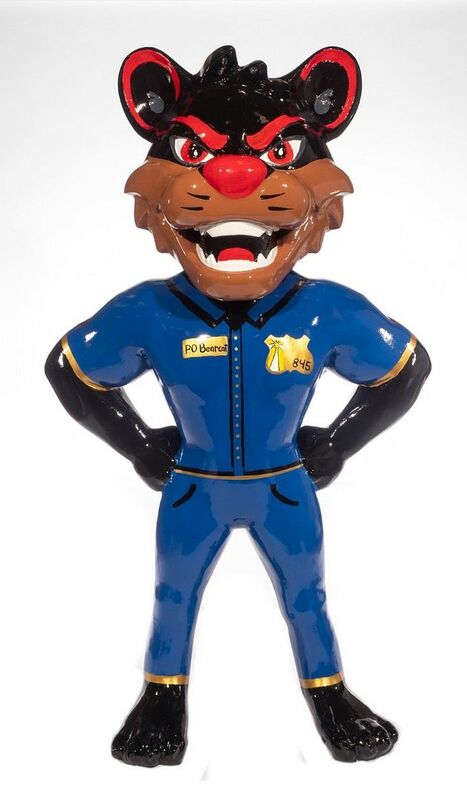 "Protect and Serve Bearcat" will be displayed at the World Peace Bell in Newport and was created by members of the Seton High School National Art Honor Society.